Black Heavy Duty Rubber Gloves - 18# - CLOSEOUT! 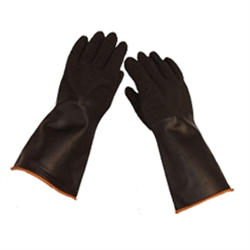 Home > Safety Equipment > Hand Protection > Latex Gloves > Black Heavy Duty Rubber Gloves - 18# - CLOSEOUT! Black Heavy Duty rubber Glove with Crinkle Finish 18" Rolled Cuff.